New 2016-W Proof American Gold Eagles sold quicker out of the gate than any in the series since 2010, the latest figures from the United States Mint show. Starting sales of the collector coins strengthened for a fourth straight year. 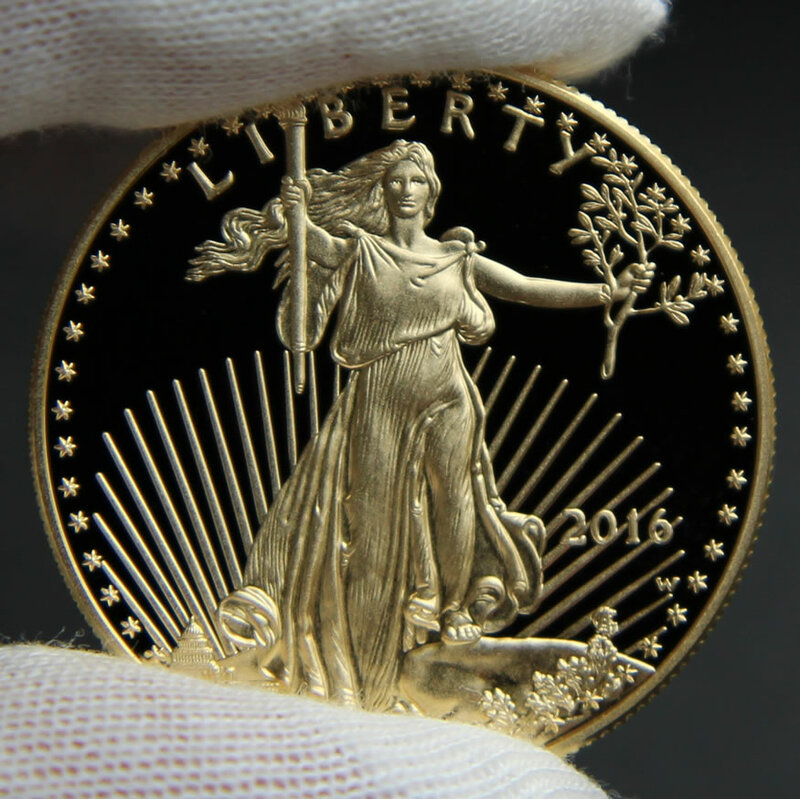 More impressive, opening sales of this year’s Gold Eagles more than doubled the early results of last year’s issues. In 2010, the proof coins enjoyed an early sales spike because of pent-up demand. 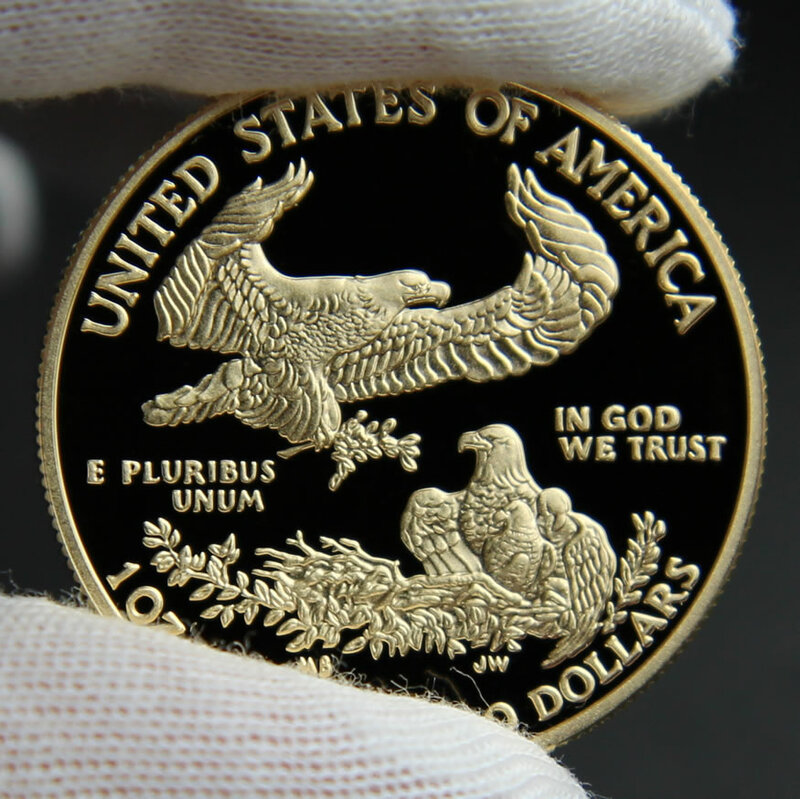 The U.S. Mint did not sell them in 2009, diverting their production to bullion Gold Eagles. Stronger starts in recent years have been supported by less expensive coin prices — triggered by weaker precious metals markets. Another supporting factor for this year was the surge in gold on the day the proof coins launched. The precious metal on March 17 jumped nearly 3% to end just shy of a 13-month high. 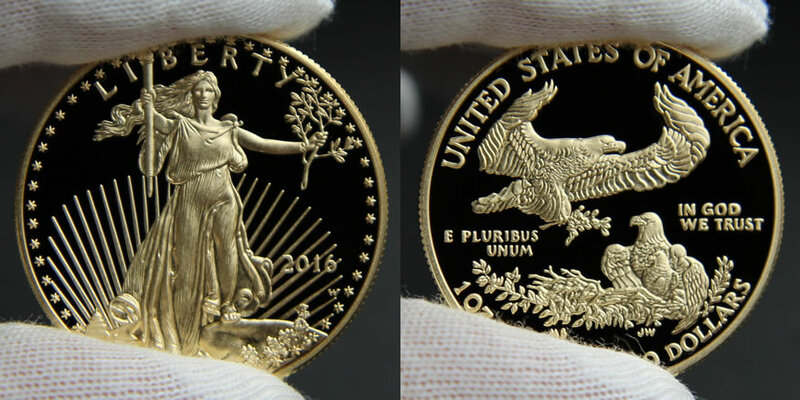 Here are two larger photos of an obverse and reverse proof $50 Gold Eagle. If you purchase the bullion versions of these gold coins you might want to check your 2016 1-ounce AGE coins for what the U.S. Mint is calling a “variation.” The Mint doesn’t know how, but has stated that approximately 63,000 of these coins were sold to their 13 worldwide official registered bullion coin “Authorized Purchasers” that have the design of Lady Liberty above the rim of the coins. Therefore, they do not stack well on top of each other as designed to do. The Mint refuses to call them “errors” (for obvious bad quality control reasons?) since they don’t yet know how this situation happened! Happy 30th anniversary for the gold American Eagle coins! High-Relief Gold Eagle. Premium examples without wear, even straight out of tubes, will command high premiums. Actually just the opposite, since they are shipped in tubes all touching on each other they have ended up with more scratches than usual. One major grading service wouldn’t grade an entire monster box due to this defect unless the Mint says they are error coins. The AP can’t return them either since the Mint doesn’t accept returns on its “sold as is” investor bullion version coins. 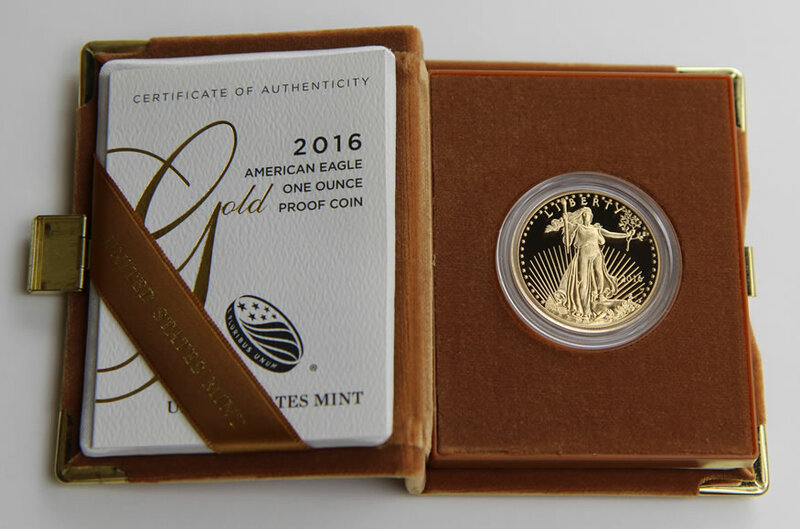 NGC has reported that counterfeit gold U.S. Mint AGE & AGB 1-ounce coins inside very deceptive counterfeit NGC holders are entering the marketplace. They appear to have a prooflike look to them but have the grade of MS-70 on the counterfeit NGC plastic holder label. The first ones were detected in Columbus, Ohio by a coin dealer.